Abstract Classes is important from the point of view of Real World Applications and scenarios. 1. What is Abstract class? 2. When we use Abstract Class? 3. Why we need a class that cannot be instantiated? One reason for using abstarct classes is we can code common functionality and force our developer to use it. Another use of using an abstract class is that you can group several related classes together as siblings. Shape is an example of Abstract Class. 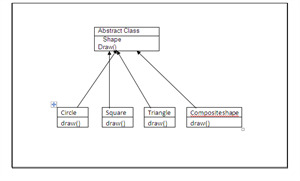 An abstract class is one whose main purpose is to define a common interface for its subclasses. when there are several classes that need to be defined with similary functionality. Abstract class cannot instantiated , it only sets the rules and standards for its subclasses you have to go a long way without needing an abstract class, but they are great for specific things.